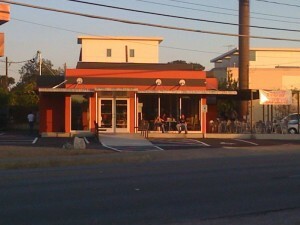 Torchy’s Tacos at the location formerly occupied by Wok n Roll at 5119 Burnet Rd is OPEN! It opened on Tuesday. This small restaurant with more outdoor seating than indoor seating is the company’s sixth location. It serves up a unique menu of tacos from green chile pork to baja shrimp. If you want to know more before you go, click here for a review of the Torchy’s Tacos on Spicewoods Spring Rd that appeared in the April edition of the Allandale Neighbor written by Laura Dooley. You can also click here to see their menu. Great food here. Just make sure you check your order before you leave. They have shorted me a couple of times at the Spicewood Springs location, although I do not think it is intentional – very nice folks.